Our Li'l Pals Soft Tip Kitten Massager reduces shedding and massages the skin of your small cat or kitten. It teaches your kitty the pleasure of being groomed while promoting a healthy coat and home. 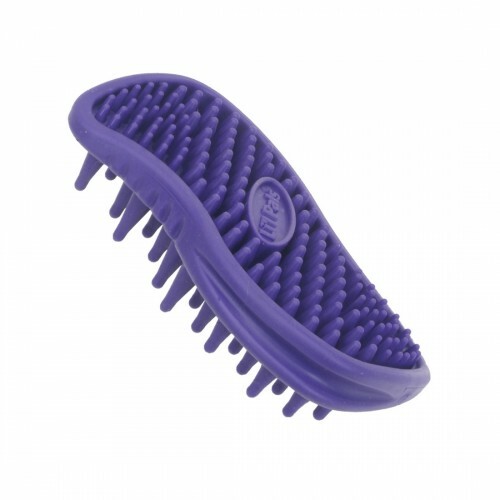 Li'l Pals Soft Tip Kitten Massagers reduce shedding and is dual-sided for complete grooming. The kitten massagers work on wet or dry coats. They feature a comfortable and secure grip and help distribute natural oils for a soft, shiny coat. The Li'l Pals grooming line encourages a stronger bond between the owner and pet.